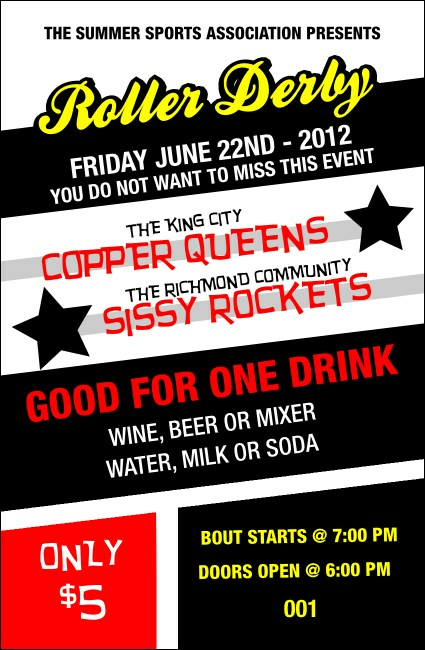 Start the After Party early when you hand out Roller Derby Passing Star Drink Tickets at your next bout. Every fan will feel like they’re Queen of the Rink when they get one of these colorful tickets with black stars shooting across the center. Each one is individually numbered for a grand slam in security. TicketPrinting.com helps you win some and bruise some!